Jiné. Black exhaust with soot flying out of the tailpipe. Intermittent idle speed fluctuation and occasionally the engine stalls. Za jiných podmínek. This fault sets very randomly. During a 40 km test drive nothing showed up, but the customer claims that it happens in city driving and we cannot say under what specific conditions. Most probably the upstream O2 sensor was replaced twice, but the owner is not sure which ones. 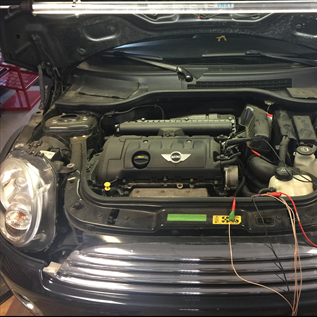 After replacement of first O2 sensor the owner had the feeling that the problem disappeared, but after time reappeared.